See what the non-PlayStation 4 versions look like. Koei Tecmo has released first footage from the PlayStation 3 and PS Vita versions of its upcoming Attack on Titan game. The game is due out for both systems, as well as PlayStation 4 (the version showcased up until now), on February 18 in Japan and this year in North America and Europe. 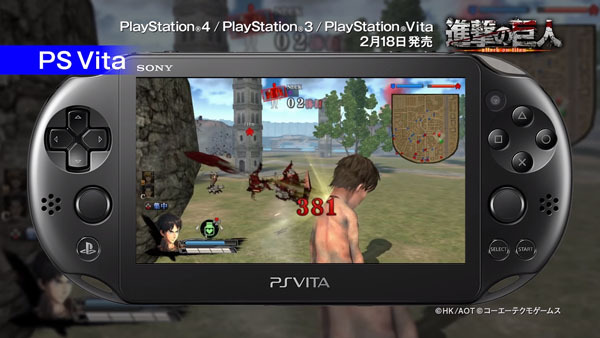 Watch the PlayStation 3 and PS Vita footage below. For comparison’s sake, here’s the latest footage of the PlayStation 4 version.